ASUS, the leading company in the new digital era announces another new multimedia enjoyment product Xonar HDAV 1.3. 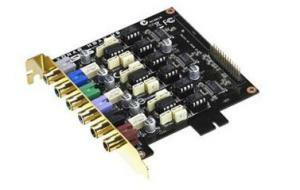 Xonar HDAV 1.3 is the world’s first HDMI 1.3a compliant audio/video enhancement combo card. Xonar HDAV 1.3 is capable of decoding Blu-ray films and lossless digital audio formats including Dolby TrueHD and DTS-HD Master Audio at 24-bit, 96-192 Khz. 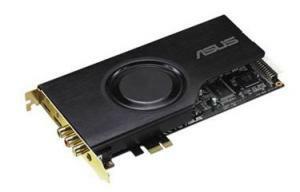 The card design on PCI Express based and making it able to deliver the highest quality 7.1 channel. The ASUS Xonar HDAV1.3 also uses analog audio which providing clean 120 dB SNR and peerless 0.0004% low distortion for all 7.1 channels. Xonar HDAV1.3 also integrates with Splendid HD Video Processor that increases color performance and enhances edges for a more brilliant, crisper high definition image without rely the CPU load. The heart of Xonar is an ASUS AV200 codec chip, which features interprets high quality signals to premium audio components. The card is the first in the Xonar family to use opamp sockets to allow for solder-less modifications to customize sound to the individual requirement. It also comes with the well renowned DS3D GX 2.0, which revives EAX 5.0 and 3D gaming audio in Vista. HDAV 1.3 is also avialable in HDAV 1.3 Deluxe version where offers all the same features as the standard card plus addtional HDAV H6 surround channel expansion card.